Rachel Notley will fight to get oil to market by rail, rejecting a Jason Kenney plan to scrap a deal and cost Albertans billions of dollars. 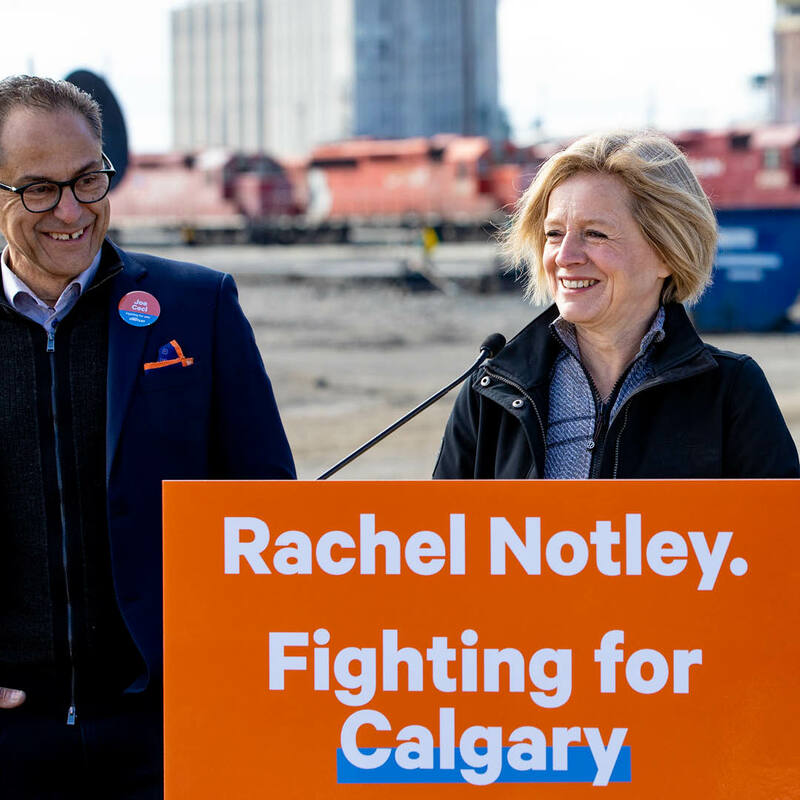 Last fall, Notley announced a plan to lease rail cars as part of a multi-phased strategy to address a backlog in oil production. Starting this July, Alberta will move an additional 120,000 barrels per day, which is expected to increase royalties and generate $2.2 billion in revenues. In Calgary on Monday, Notley announced she would fight against Kenney’s plan to strand Alberta resources in the ground. Because of Ottawa’s decades-long failure to build pipelines to Canadian tidewater, Alberta oil producers have been forced to sell products at a heavy discount to American markets. This has been bad for all Albertans, who receive royalties for their resources and rely on the sector for good mortgage-paying jobs. After consulting with industry leaders, experts and economists, Notley took a strong stance, reducing the amount of oil produced until a backlog was reduced. Notley's short-term plan has already worked, reducing the discount and saving thousands of jobs. While fighting for a long-term strategy of a new pipeline to tidewater, Notley also suggested a medium-term plan to lease rail cars to move products to the coast. The plan helps further clear the backlog, reduce the discount on Alberta oil, and save jobs. In addition, it is expected to make a considerable profit for the province while sending a signal to international investors that Alberta is fighting for its reputation. Jason Kenney hasn’t just vowed to kill Notley's plan. In the months leading up to the election, Kenney actively undermined Alberta's economic interests. He told international investors that he would scrap deals to move oil, diversify the energy sector and Canada's hottest renewable energy market. While unveiling his party’s platform on Saturday, Kenney showed that he doesn’t understand his own plan. The UCP platform cancels the cost of leasing rail cars, but doesn't subtract the revenue that would come with it. That means that there’s a $2.2 billion mistake at the heart of Kenney’s platform. It's a glaring error that will mean a higher deficit or massive cuts to services like health care and education. Notley says that being Premier of Alberta isn’t an ideological job. The province needs a leader that supports workers and gets the best value for Alberta’s resources.